Whether authoring a brochure, whitepaper or a textbook, convert your PDF in Repubit Digital and you are published – online and in the app stores. Ask about enrichment. 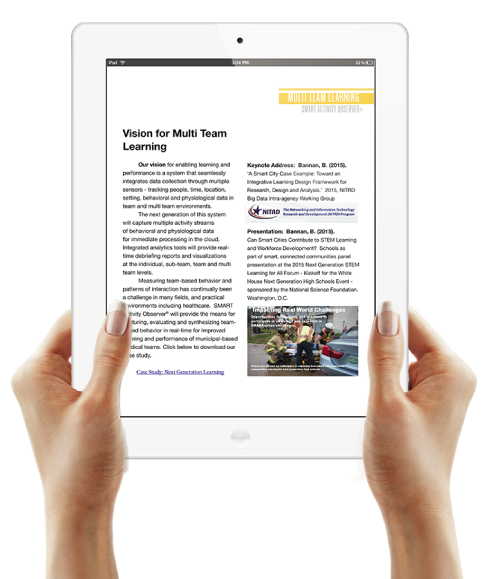 Superior mobile learning via transmedia – embed quizzes, simulations, collaboration, progress reporting. Any browser or mobile APP. Online, Offline, Accessible. Monetize publications and training with paid subscriptions, free previews and membership perks. Choose where your RepubitDigital paywall goes and enjoy freedom from sales commissions and charges. RePubIT is an online publishing platform that makes it easy to create fully interactive training, marketing and sales materials from your existing digital content like PDFs, PowerPoint® slides and more. RePubIT allows you to assemble and blend all of your content into a rich media experience with just a few files. The possibilities are ENDLESS. Include online quizzes, surveys and record the results. Add, video, audio and widgets of almost any type. You say you don’t want the expense, hassle and delays of building courseware with an LMS? Turn the page to see more examples of what RePubIT can do! Tiruneh Gebregiorgis Debena, Project Officer, Seed and Agricultural Recovery Project, Catholic Relief Services, Addis Ababa, Ethiopia. Whether supporting a Western industrial hi-tech infrastructure or here in Africa making microfinance training effective in the the remotest regions of developing countries with minimal network access — RePubIT delivers available, insightful and useful publications.